Looking for a maintenance free condo in a peaceful Medina community? Look no further! The Courts of Weymouth offer spectacular condos at a bargain! With panoramic green views of the golf course and perks galore, you will find yourself the perfect home! No more homeowner landscaping upkeep or snow removal with the same advantage of a place to call you own! Amenities include golf, private health club, and fitness center! The Courts of Weymouth offer two to four bedrooms inviting floor plans! Whether you’re looking to downsize or enjoy a spacious living area, these condos are sure to accommodate your needs! The first floor offers a sizeable great room with gas fireplace, adding warmth and elegance. Kitchens are up to date with contemporary appliances, oak cabinetry and ample amounts of counter space. Vaulted ceilings add a dramatic effect along with an inviting morning room. Enjoy reading the morning paper while looking out at the scenic view! Large windows are an additional plus as they allow natural light to create a crisp airy feel to your condo. Entertain company or enjoy family dinners in your formal dining room. Bedrooms are neutral with plush carpeting awaiting your personal touches! Head down to your finished lower level and create the space of your dreams! Fall in love with your leisurely condo. Spacious garages add to the already ample storage space! Why rent when you can own today! Medina is the perfect place to call home. With an excellent school system and plenty for kids to do, this is a great family community. Tranquil by nature, you can enjoy the country living while still having the perks of city life. Commuting is not a problem with major highways minutes away. Downtown Medina features exquisite architecture along with American historical pieces such as a WWII tank! Nestled into a quite yet exciting city, The Courts of Weymouth are a must see! Call one of our Medina specialists today and find out more information! 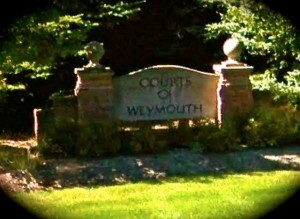 Contact us for a private showing of Courts of Weymouth.